Oregon Trails Wine Company is a brand developed by AWDirect, a wine conglomerate which handles everything from sourcing grapes to designing labels. If this wine is an indicator they don’t skimp on the winemaking. 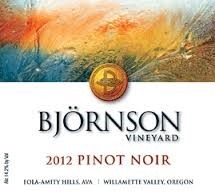 This is a solid Pinot Noir from an excellent vintage at a good price that captures well the flavor profile of Willamette Valley. The focused nose shows strawberry, clove-inflected cherry, and the distinctive crushed rock aromas found in Oregon Pinot Noir. There is a slight leafiness when the corked is popped which turns to dried mushroom notes with aeration. The barest hint of background oak highlights the fruit. Fresh strawberry and dried mushroom hints also show up on the simple but polished palate. Medium bodied and supple, with an extended, juicy though lean midpalate, the medium length finish features very fine tannins that come on slowly adding some taut energy to the wine, supporting a refreshing, candied fruit top note. I’ve been waiting to put together this list hoping that some great wine might appear as the year comes to a close. Alas, I can wait no longer as the end of the year is nearly upon us and I doubt more beauties will find their way to me until the new year. This list reflects the five weeks devoted to tasting through Willamette Valley’s finest so it’s a bit Pinot Noir centered. Unfortunately I had to leave off many great wines I tasted there, some of them with big scores. But the ones on this list were memorable, the wines that brought me up short and really captured my attention. It also reflects my preference for aged wines. For quality wines, nothing does more to bring out nuances than time in the bottle. Thanks to The Sommelier Company for making some of these tastings possible. An iconic wine often mentioned in the same breath as the famous Bordeaux Premier Cru, this may be the best wine I have ever tasted. Concentrated and energetic with a complex evolution on the palate that changes with every sip, after many years in the bottle the oak is fully integrated creating a wine of power and refinement. Sturdy but delicate it is a perfect illustration of how a wine embodies contradiction. It is mostly Tempranillo with a healthy percentage (20%) of Cabernet Sauvignon. There is indeed nothing like a first kiss. The second one doesn’t quite measure up . So perhaps, since this is my second opportunity to taste this cult wine, I found the experience slightly less magical than my first although we are talking about very fine gradations of quality here. But nevertheless this is a gorgeous wine concentrated and deep but fresh with an ethereal, light texture and silky tannins that leave me speechless. Amarone is not my favorite style of wine. It’s often prune-like and a little sweet and is always high in alcohol. But this one overcomes all those limitations. Intensely aromatic and complex, massive but lively on the palate with fierce but fine-grained tannins. Put this on your bucket list—it’s really one of a kind. The most unique and exotic wine I’ve had this year. It’s a field blend from a Grand Cru vineyard planted with 20+ varietals in mixed plots that including Riesling, Gewurztraminer, Muscat, and many members of the Pinot family. No one really knows what goes into this wine. It’s juicy, dense, off-dry and bristling with acidity and bursting with so many flavors and aromas it makes your head spin. Winemaker Marcel Deiss claims these multiple varieties ripen at the same time perhaps because the vines communicate with each other. A bit of woo but you can’t argue with results. Clear, precise, and complex, a stunning, beautiful wine. Dry but extremely well balanced. Gross Gewachs (meaning great growth) refers to the labeling of VDP wines. VDP is a membership organization that includes most of Germany’s top wine estates. 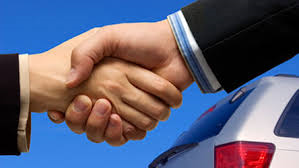 Its members must adhere to more stringent standards than those set down in the German wine law. It is the most reliable indicator of quality for German wines. Voluptuous because of a very warm year but exquisitely balanced, this has the texture of soft satin but a lengthy structured finish with pure fruit and nicely handled, subtle oak. Antica Terra is a small-production winery featuring winemaker Maggie Harrison, the former assistant at Sine Qua Non. I highly recommend their private seated tastings in which they taste inspirational wines from around the wine world in addition to their own bottlings. A big, blustery wine when young, with time in the bottle it is developing lovely and unusual flavor notes acquiring finesse and charm to balance the aggression. Epoch is a relatively new winery and is gaining a reputation for quality—a great example of Paso’s potential as a wine region. The Anderson family has been growing grapes for top Willamette Valley wineries for over two decades on this gorgeous hillside in Dundee. They started making their small production, hand-crafted wines in 2002. This Chardonnay is stunning. It’s ripe and creamy with a lovely texture and developing intriguing earth notes on the nose due to bottle age. This wine spent two years in the barrel before bottling and that care shows. Full flavored with plenty of cherry left, apple, leather, and earth notes, and lovely fine tannins—still going strong after almost 30 years. Their wines are spare and austere when young but they age beautifully. An historic winery and one of the earliest producers in the Willamette Valley, they always have a library wine to taste in their tasting room. Several years ago, Eyrie began the process of opening, evaluating and resealing their library wines discarding bottles that were not aging well. The result is an extraordinary record of past vintages. 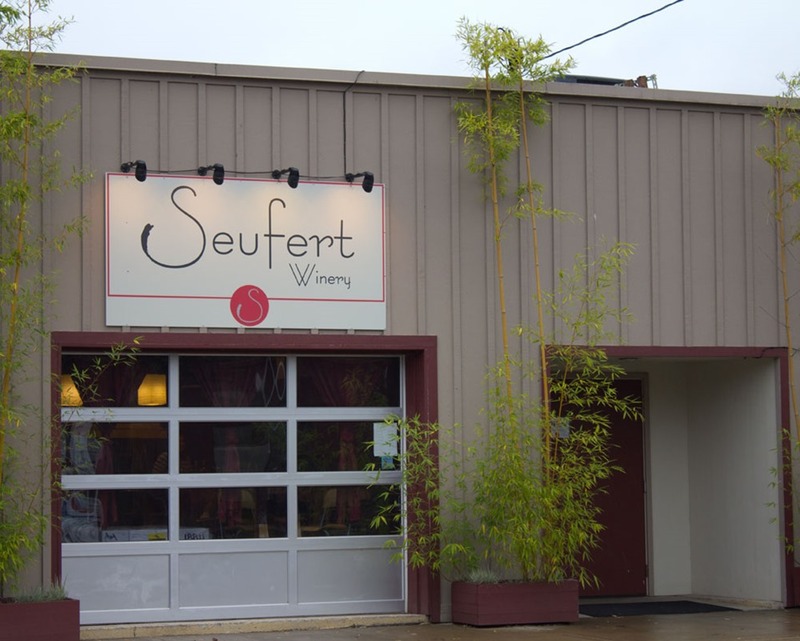 A small-production, off-the-radar producer occupying a storefront in Dayton, Oregon, this winery produces extraordinary wines that are unique in Willamette Valley in the pungent mushroom and coffee aromas they exude. This 2009 from Zenith Vineyard was pure silk on the palate. It is everything Pinot Noir should be. The Willamette Valley is chock full of small production, boutique wineries launched on a shoe-string budget and slowly building a reputation through determination, hope, and a commitment to quality. Walter Scott is among those. With their label launched in 2008 and acquiring their own facility in 2012, Ken Pahlow and Erica Landon have gradually increased their production to about 3500 cases. They are certainly one of the up-and-coming wineries to watch in this land of endless Pinot Noir. This is their entry level Pinot Noir and at this price is a great value. 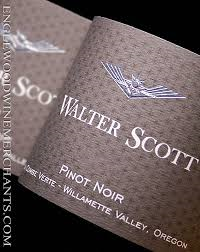 Most quality Willamette Pinot is considerably more expensive. An intense wine with aromas of black cherry, dark berry fruit and tea enlivened by peppery spice. The palate features savory, herbal flavors complementing the fruit with warm spices gracing the midpalate and firm, drying tannins supporting a long finish. The texture is angular and taut bolstered by bracing acidity that leaves a wiry impression and the oak nicely integrated with no overt woodiness. 2014 was a warm year in the Willamette Valley and many of the wines are fleshy and meaty. This one is agile and sinewy refusing to succumb to the over-ripeness that is such a temptation when the weather turns hot. Nothing ethereal or overly complex, just a very well-built wine. By the way, should you be wondering, the winery’s name is a memorial to family members and has nothing to do with Sir Walter Scott, the early 19th Century Scottish literary figure. This is a fascinating, distinctive wine. While many winemakers add whole grape clusters to the fermentation tanks to add complexity to the finished product, the presence of stalks can introduce green, twiggy flavors that mask the fruit flavors making the wine seem dull. 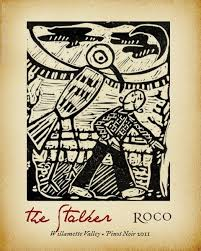 Roco’s legendary winemaker Rollin Solles solves this problem by storing the grapes while he air-dries the stalks, a modification of the traditional method of drying grapes used in Italy’s Valpolicella region. 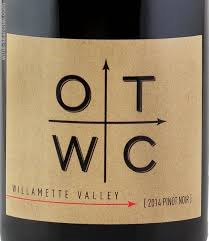 The result is a savory Pinot Noir with edgy, spicy tannins and a unique finish that mimics the prickly, crystalline finish of a good sparkling wine—which is not surprising given that Solles was co-founder of the great Oregon sparkling wine producer, Argyle. Bright raspberry fruit with floral top notes burgeon from the glass and are woven with the Willamette Valley’s characteristic crushed rock aromas. A few moments in the glass bring more earth tones to the foreground. On the palate the wine is lithe and willowy with a complex evolution that travels from fruit to swelling waves of minerality eventually introducing an impression of fresh spring water before the spicy tannins begin to bristle and plume. A wine for people who like their delicacy with an undertone of kinetic energy. It has the structure and balance to enliven rich dishes with some mild flavor components —I enjoyed it with smoked salmon tossed with cream and parmesan served over pasta. Not only because Christmas is coming but because world leaders were able to arrive at a climate change deal that most experts are hailing as a significant step forward. Governments have signaled an end to the fossil fuel era, committing for the first time to a universal agreement to cut greenhouse gas emissions and to avoid the most dangerous effects of climate change. However, many proponents of the plan agree that its value is more about symbolism and hoped-for gains than near-term substance, and critics are zooming in on the agreement’s lack of legal teeth, as well as how optimistic it seems to be about future international cooperation, technological advancement, and the sustained domestic will within each country. But there are certainly grounds for optimism. If we do succeed in limiting the damage from climate change millions of lives will be saved and countless ways of life rescued. I suspect that I’m not the only wine lover today who fervently hopes that on that list of rescued ways of life are the wine cultures of Burgundy and the Willamette Valley, Oregon, wine regions that depend on cool weather Pinot Noir. This shapely, stylish wine is from one of the newer, up-and-coming artisanal producers in Oregon’s Willamette Valley. Pattie and Mark Bjornson embody the do-it-yourself spirit, starting their vineyard and winery from scratch and doing most of the work, including designing and building their facility, themselves. The result of all that care and labor is evident in the glass. Seductive black cherry cosseted by aromas of crushed rock and violets—the nose is pretty as a picture. The satiny mouthfeel is interrupted by a flood of minerality leaving vibrant, prickly sensations on a finish gently kissed by moderate tannins. Cola and cranberry flavors round out this supremely balanced wine. Aged for 16 months in French barrels, 22% new, the oak is fully integrated and shows no overt wood notes. Natalie Merchant’s iconic video “Wonder” captures well the spirit of this wine. 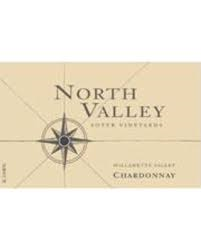 For many years they tried to grow good Chardonnay in the Willamette Valley without much success until they figured out that the California-sourced clones were not a good match for their soils. But since importing the Dijon clone from France in the late 1970’s, the quality of Chardonnay from Willamette has slowly improved and today it seems everyone is jumping on the Chardonnay bandwagon. And why not since Chardonnay sells. In general, Willamette Valley Chardonnay is crisp, lean, and fresh with modest oak and very little of the buttered-popcorn opulence that traditionally characterized Chardonnay from their neighbor to the South. This bottling from Soter is typical. White peach and lemon provide a foundation for lovely hazelnut aromas; with aeration the crushed rock characteristic of Willamette Valley really shows. This nut/mineral coupling sets this wine apart. There is more peach and apple on the taut palate. The medium body still manages to feel delicate until early acidity rushes in and forceful minerality takes over. The long, mouthwatering, lemony finish is on the tart side but still acceptable. This is not gorgeous, rich, or complex. With only 13% new French oak (30% used), and only 37% undergoing malolactic fermentation, the winemaker’s aim is clearly to let the fruit speak. It is a wonderful food wine that rocked a plate of pasta with red sauce. Although I’ve occasionally had a dry, austere French Gewürztraminer, they tend to be full-bodied and round, sometimes a little oily in texture, with explosive fruit aromas and some residual sugar to balance the characteristic bitterness on the finish. But all that ripeness means low acidity—it’s a naturally low acid grape anyway and the Alsatians are prohibited from adding acid in the winery. I enjoy that style of Gewurztraminer—it’s a unique grape, unmistakable, and a welcome respite from the acid-driven white wine styles that are more common. This wine is not one of those. It has the expected lychee and floral aromas cloaked in a halo of ginger—a very representative nose. But this wine seems almost bone dry, light in body with orange zest turning to lime and enough acidity to rip the enamel of your teeth. Well, I’m exaggerating a bit. But the acidity is piercing with no hint of a waxy or oily texture and a long acid-driven finish that evolves from lime to fresh spring water and back to lime all buttressed by a layer of bitter notes that are left in tact with no sugarcoating. In short there is no concession to easy or lush. An acid head’s reverie. A solid wine if you like this style. But of course it’s from the Willamette Valley, Oregon where acid is king. It is always interesting to taste offbeat expressions of a varietal, taking things in a new direction. The Willamette Valley is Pinot country; Gewurztraminer is one of its charming secrets. 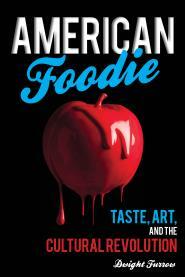 Serve with some Acidhead by John Schofield. 1968 was never this good. The Gamay varietal is famous for producing the simple, light wines of Beaujolais, a wine region consisting of 10 villages just north of Lyon, France. For some reason the grape, when vinified using carbonic maceration, captured the attention of wine marketers in the 1970’s who succeeded in making the November release into a national event, and subsequently a worldwide event that has customer’s falling over each other to get a bottle of this insipid wine that smells and tastes like bubblegum. It is indeed one of the silliest marketing ploys in the wine world, and that is saying a lot. But in Beaujolais there are some serious producers that make a wine of some depth and complexity via conventional fermentation. Unfortunately, in the rare instances when the varietal is grown in the United States, producers tend to make it in the Nouveau style, I suppose in order to capitalize on that marketing magic. Happily, Piluso Vineyard and Winery, a small Oregon producer on the often-ignored East side of the Willamette Valley makes Gamay in the more serious style of the better Beaujolais producers. Light ruby in the glass, the nose shows tart raspberry with pretty rose petal notes and a beautiful overlay of baking spices against a background of freshly turned earth. Very aromatic and expressive for this grape; and no bubblegum. The palate is light and fresh without much concentration, tasting of tart cranberry with hints of ginger and a peppery finish supported by barely discernable, powdery tannins. High in acidity, the aggressive tartness was a little much for a simple chicken dish but pairs well with fresh tomatoes and would be wonderful with a cranberry garnished Thanksgiving turkey. Gamay is an inherently limited grape varietal but this version shows its true potential. Owner/winemaker Sandee Piluso has wanted to make wine since she was a teenager and since 1998 has been living that dream. In addition to the ubiquitous Pinot Noir and this Gamay, she makes Dolcetto, Tempranillo, Gruner Veltliner, an impressive port-style dessert wine, and a stunning white Pinot Noir, all in the same elegant style with an emphasis on alluring aromatics. This is a very small production and unlikely to be available outside the winery. But these small operations, labors of love, are the beating heart of wine culture and deserve recognition. A good reason to support your local winery. We spent a week last fall in the Willamette Valley tasting our way through the offerings from about 30 wineries, many of them internationally acclaimed with gleaming new tasting rooms in idyllic settings, overlooking lovely rolling hills dotted with small farms and acres of grapevines. But the best Pinot Noir we found was from this storefront winery in Dayton, a sleepy little town, featuring one traffic light and a few restaurants. Seufert Winery is a small room stacked with barrels, winemaking equipment, a makeshift tasting bar and features the winemaker’s 5 yr. old daughter chatting up the guests. It also includes a lineup of single-vineyard wines that, to my palate, are among the best in the valley. They have the earthy complexity and silky mouthfeel that I look for in Pinot Noir—if I were blind tasting these wines I would guess Burgundy Grand Cru. One reason these wines are special is that winemaker Jim Seufert holds back his wines refusing to release them until they are ready. This is an expensive proposition for a small winery but it guarantees every wine sold is drinking at its speak. So the current lineup of available wines will include many back vintages like this 2009 that was still available last Fall. Light ruby in the glass but with some copper highlights just beginning to show signs of age. The nose is well-developed with pungent mushroom and coffee aromas and a touch of caramel beginning to overshadow the dark cherry aromas. A hint of volatile acidity gives character to the wine reminding me of some aged Barolos. The evolution on the palate is lovely—an introduction of silky, plump fruit swells and tightens as the acidity kicks in, surrendering to a long, sensuous finish on soft, gentle tannins. The mouthfeel is dead on—what Pinot Noir should be. These are small production lots so particular vineyard designate wines may sell out quickly. But all five versions of Pinot Noir I tasted had the fully-developed, earthy quality and graceful mouthfeel that I find so intriguing.